Be the first to share your favorite memory, photo or story of Herschel. This memorial page is dedicated for family, friends and future generations to celebrate the life of their loved one. 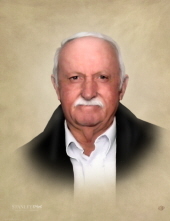 Funeral services for Mr. Willie Herschel Phillips, age 73, will be held at 11:00 A.M. Friday, February 8, 2019 at Buckeye Christian Church with burial to follow in the church cemetery. Rev. Roger Holley, Rev. Barry Clanton and Rev. Charlie Crowe will officiate. Mr. Phillips was born January 14, 1946 in Wrightsville, Georgia; he was preceded in death by his parents, the late John David Phillips and Lillian Cox Phillips. He was a member and a deacon of Buckeye Christian Church and was the owner/operator of Phillips Painting Company. Mr. Phillips passed away Tuesday, February 5, 2019 at his home following an extended illness. He is survived by his wife, Judy Phillips, his son, Rob Phillips, two daughters, Stephanie (John) McAfee and Marcee (Nathan) Pool all of Wrightsville, six grandchildren, John-William McAfee, Christian McAfee, Caige Pool, Cayden Phillips, Marlee Pool and Courtney Roberts, two brothers, George Phillips and Herman Phillips both of Wrightsville, and two sisters, Lorene Copeland of Wrightsville and Raphene Harris of Irwinton. The family will receive friends from 6:00 P.M. until 8:00 P.M., Thursday, February 7, 2019 at Buckeye Christian Church. Pallbearers will be Lee Copeland, Tim Phillips, Keith Copeland, Kevin Phillips, Ricky Phillips and Jerone Phillips. Honorary pallbearers will be Randy Tanner and Murray Phillips. In lieu of flowers, the family asks that contributions, in memory of Mr. Phillips, be made to the Buckeye Christian Church, 2606 New Buckeye Road, Wrightsville, Georgia 31096. To send flowers or a remembrance gift to the family of Herschel Phillips, please visit our Tribute Store. "Email Address" would like to share the life celebration of Herschel Phillips. Click on the "link" to go to share a favorite memory or leave a condolence message for the family.